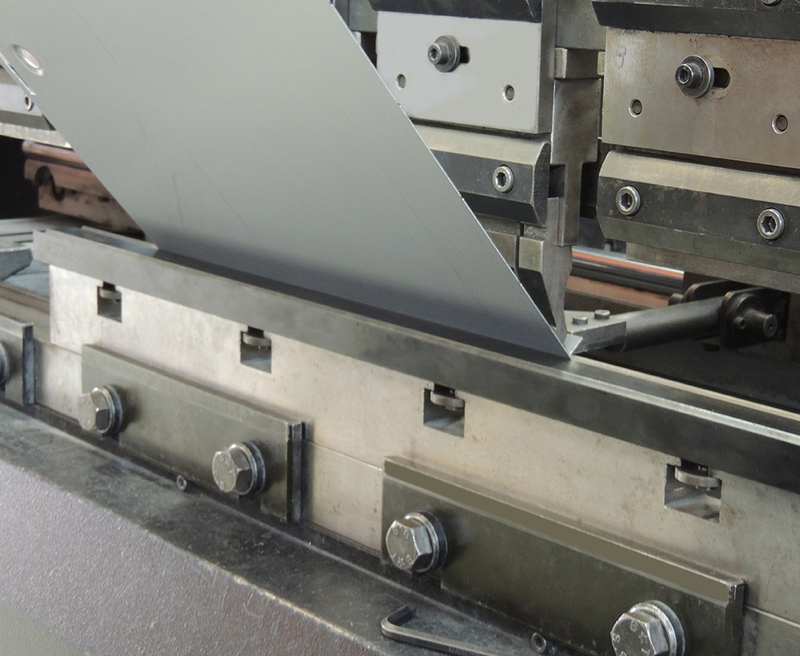 Trafalgar's press brake machines are used in the manufacturing process to form the parts which have come off the turret punching machine. This can be done on any one of our three CNC Press Brake's with a large bed size of 3m and 100 tonnes of pressure we can fold alloys up to 6mm thick. Over the years we have added to our tool range and currently hold a large number of punch and dies which allow us to fold material accurately into the desired shape, whether it is one or multiple bends, safety edges or angles we are sure to have the right tools to suit your job.